Voltage Sensing Wire Feeders | R.J. Kates Co. 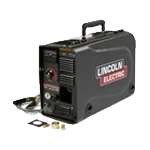 The LN-7, a semi-automatic constant speed wire feeder, can be used with a variety of Lincoln engine drives, DC or CV power sources in shop or field environment. Built on success of the LN-25, the LN-25 PRO is simple, reliable, and easy to service. It’s ideal for shipyards, field construction and fabrication, and rental companies. 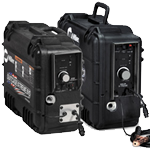 Smaller 8VS size for shipbuilding, maintenance or wherever a lighter, smaller, more portable feeder is required. The big brother is the X-Treme 12VS. 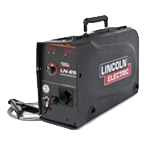 The LN-8, a semi-automatic wire feeder, provides dependable performance and reliable operation, making them ideal for shop or field operations. 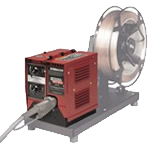 Whether you are an ironworker, pipeline welder, or weld at a construction site, shipbuilding facility or metal fabrication shop, we have the right wire feeder for you. The Miller XR is a true push-pull wire feeder. Slave/torque motor provides continuous push force to the wire while the gun motor controls wire feed speed at the arc. 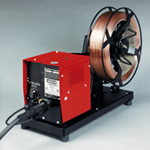 The LN-25 semiautomatic wire feeder is ideal for field or construction use. It is powered across the arc; no control cables are needed! 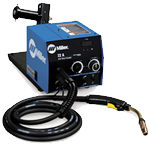 The Miller S22A is for use with these processes: MIG (GMAW), Flux-Cored (FCAW), Gas and Self-Shielded. And for use with CV power sources. 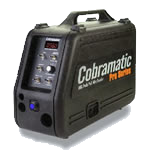 The Cobramatic Pro is a push-pull wire feed system. Its compact design allows it to go into tight spaces, including through a ship’s porthole. 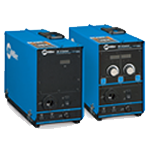 LN-25 series wire feeders are designed to be simple, reliable and easy to service. 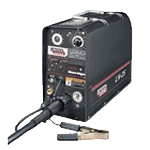 The Ironworker includes all standard features, less the flow meter. 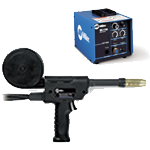 The Spoolmatic Pistol Grip Gun – industrial, well-balanced spool gun and features a built-in gas valve, rotatable canister, all-wire dual groove drive roll.